AISI 4130 is a low alloy steel containing molybdenum and chromium as strengthening agents. The carbon content is nominally 0.30% and with this relatively low carbon content the alloy is excellent from the fusion weldability standpoint. The ASTM A519 4130alloy can be hardened by heat treatment. 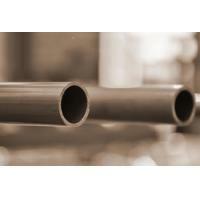 We offers an extensive range of ASTM A519 4130seamless mechanical tubing is manufactured to meet your specific application requirements. Controlled modifications and adjustments are made to the tube making process for each order and take into consideration end use and all finishing operations (including heat treatment) that will be performed after you have received the tubing. This grade is similar to 4140 in scope which has a higher carbon level giving 4130 an advantage when it comes to weldability, this weldability is achieved at the cost of through section hardenability. AISI 4130 steel is a low alloy steel that is used in structural designs that may be found in applications such as aircraft engine mounts or welded tubing. It is well known for its ease of welding and ability to harden in commercial applications. 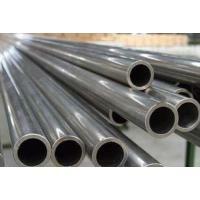 It is commonly referred to as chromium-molybdenum steel. Hot-expanded:O.D. : 325-1020; W.T. :6∼50; L: max 12000 and other specifications in accordance with customer requirements.